OK I’ll admit, I’m not the biggest fan of Star Wars here in that I don’t particularly care about the franchise, but I have found some things about the Star Wars universe interesting. For instance, I have on separate occasions been shown the Sith code and the Grey Jedi code by my friend Tadashi. First let me show you all the codes. First, the code of the Jedis. The Jedi code obviously reeks of denialism, as in it ignores both vital components of existence and flaws in human nature, but it strangely reminds me of Buddhism and Hinduism. The Sith code seems very likeable and appealing to me but looking back it feels like it’s incomplete and missing things because of the apparent absence of peace, harmony, and order (which is actually hypocritical because of how a Sith regime operates when it is dominant). Yes, I like passion in life, but there’s no way that can be all there is. It actually reminds me of Satanism cranked up a couple notches to a kind of military level. But then, there’s the code of the Grey Jedis. The Grey Jedi idea fascinated me, mainly because I did not think something like that was found in Star Wars (though I’m personally not entirely sure if it’s actually fan-written given). 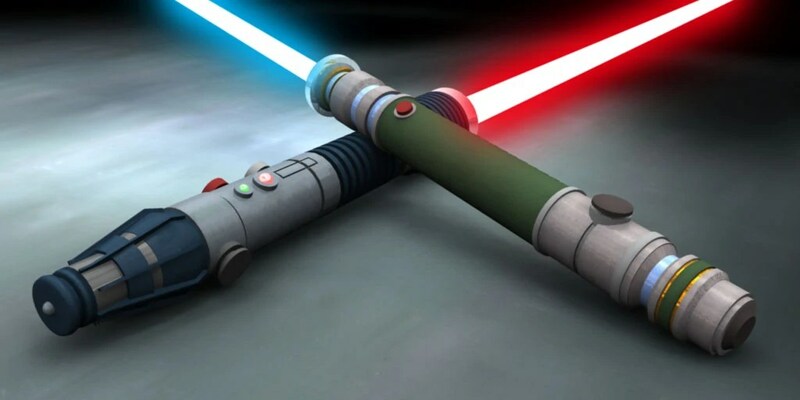 The philosophy behind it is apparently that the Grey Jedi believe the force is neutral and any notion of alignment was an attribute of the user. Their most imprtant tenet is balance, they do what they must to preserve it above all else, even if it means letting some evil come to pass or destroying a whole planet, but they would not allow evil to flourish and thought good must always cancel out evil and keep it in check. They needed passion and emotion to fuel their power, but also needed peace and serenity to remain in control. It’s all very Taoist. When I was shown the Grey code, I felt that while I would never fully identify with Grey, I think the much of the words of the Grey code offer a great picture of the nature of the universe, as well as human nature. In particular, the idea that there is Chaos and yet harmony or serenity. That actually sounds like a great application of the colours red and black, which are both traditionally the colors of Chaos (at least in my MegaTen-influenced books anyway). Together they could express Chaos in a strangely serene and harmonious way, and to think, what a beautiful thing that would be. Of course the down side is that this combination is still always dark and leaves little room for the light element, unless red happens to count as that element. Speaking of light and dark, thinking about it, this new way of applying the red and black combination can also be a great reference to Taoism and by extension Eastern philosophy (which is good for my sake since I frequently worry that I’m losing touch with the Eastern culture that so inspired in the first place). 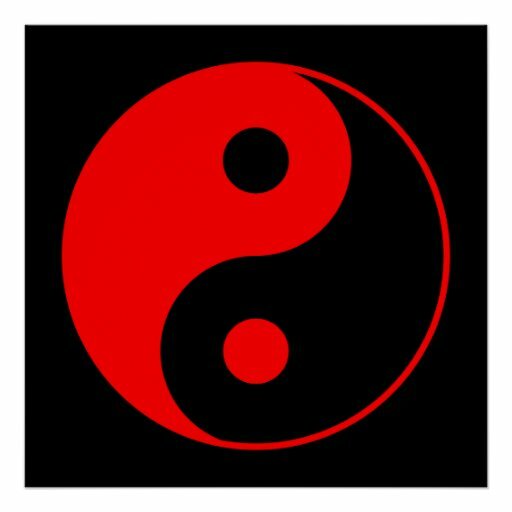 I often see depictions of the yin and yang symbol where the yin half is black but the yang half is red instead of white. Like this one, though it’s not a very old depiction I must say. It might not be a very traditional depiction, but it still depicts yin and yang very clearly, red obviously being yang and black obviously being yin. Not to mention, I’ve talked before about energy and void being red and black respectively, and that still fits with all my previous ideas about the universe in a reasonably cozy fashion. Really red and black tied in with Taoism can incorporate all manner of ideas. It still has a Satanic flair to it, and let’s not forget that Baphomet, now commonly linked with Satanism, is essentially similar to the Taoist principle of yin and yang. Also, that part about the Grey Jedi being the wielder of the flame and protector of the balance reminds me of own alter ego character and the role I ascribe to him within his own universe. He utilizes the fire element (albeit in two forms; the traditional flame and the demonic flame), and one of his roles is to protect his world, which also means protecting the balance of the world by destroying evil and defeating the ambitions of all manner of evil beings whether they’re human, demon, or divine. Because of all that, I refer back to Shin Megami Tensei and become very tempted to align myself as Neutral, since not only does the Grey Jedi code kinda remind me of Neutral, it presents a good warrior framework for Neutral. But I can’t settle on just Neutrality. Aside from me having criticized before for canonically accomplishing almost nothing, Neutrality on its own is rather bland if done for its own sake. I also don’t believe there is a middle ground for absolutely everything or can be, certainly not a middle ground for freedom and slavery, the individual and the collective, or strength and weakness. And while light ad dark can be balanced, good and evil cannot, since good and evil are a matter of ethics, morality, and/or subjective judgement. My alter ego character can’t be a total neutral either, as he is meant to be a hero, and his ideas of heroism are based on mine, and actions are based on the same. However, this is one case where Neutral should be mixed with Chaos here. In a MegaTen sense, I couldd be effectively Neutral but from a Chaos perspective, or perhaps the other way around. If I’m Neutral, then that Neutrality would have to be guided by my own nature, my spiritual ideas, my basically libertarian philosophy, all of them influenced by being aligned with Chaos, and my tastes would remain pretty much unchanged. And finally, who knows, maybe Order/Harmony and Chaos really could be treated as different forces, and the fire I seek to live by as the Fire of Spirit, or perhaps, at least something more encompassing then the Fires of Chaos. Perhaps, recalling the inner flame I once described more frequently a few years ago.